Thanks for visiting our site. We hope you find the information contained within useful. Netscape Communicator version 4.0 or higher or Internet Explorer version 4.01 or higher. The Flash Player plug-in. If you have a recent version of Netscape (V. 4.72) or Internet Explorer (V. 5) the Flash Player plug-in will already be installed. If you don't don't worry, you can download for free here. 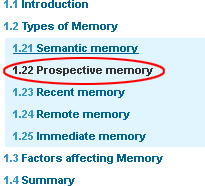 You can select a session by clicking the text showing the name of the session as shown on the homepage. Once you've selected a section the left frame will change. You can select any part of a section by clicking a link. Some links open sub-section links, shown within a light shaded box. The top right menu bar is always present. You can select any of the options by clicking the links.